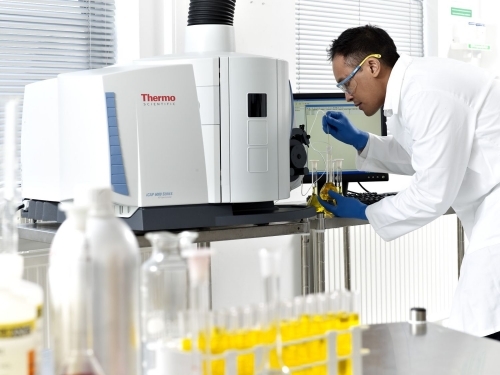 multi-element analyses and access more sensitive wavelengths for improved analyte detection capability. reduce running costs and simplify operation, making the iCAP 6200 ICP-OES an ideal solution for first- time users of the technique. and an optimized plasma interface gas flow that consumes only one litre per minute. dynamic method library. These templates complement the pre-optimised sample introduction specifications of the instrument, enabling simple, consistent operation and powerful analytical performance for users at any level.